If you are looking for the best care possible for your upholstered pieces then you need to rely on the TruRenew Clean specialists. 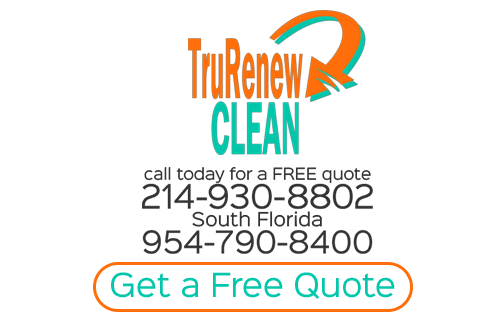 TruRenew Clean residential and commercial cleaning services are second to none. Our expert fabric and upholstery cleaning technicians are trained and certified in cleaning fabric, including upholstery, draperies, leather and even mattresses. Sometimes, unless someone has an obvious spill, they may not see the need for this type of cleaning service. There are plenty of reasons to take care of this type of cleaning. For one thing, this is the ideal way to remove allergens from your home. Your furniture is like an oversized filter; having it cleaned on a regular basis means being able to reduce the risk of exposing you and your family to these harmful contaminants. At TruRenew Clean we make it our number one priority to help you keep your home or business clean, from top to bottom and every surface in between. While using industry leading equipment and products TruRenew Clean's specialists are able to effectively clean a wide variety of upholstery materials. We are experienced and qualified to work on pieces that many other cleaners don't have the confidence or knowledge to touch. Prior to cleaning, your upholstery is inspected to properly determine specific needs & procedures to effectively clean your fine fabrics without causing damage.. Based on the results, the upholstery is pre-treated, thoroughly rinsed, and conditioned based on the type of material. Most upholstery is dry within just a few hours. We also offer an excellent protector to assist in repelling both soil & spills. The number one reason to apply fine fabric protector to your upholstered pieces is to repel spots and spills from setting into the fabric that will be unable to be cleaned out even by a professional. Other great benefits are protector helps prevent wear from sitting in that favorite spot on the couch, or fido's special place on the chair, or even helps protect against sun damage or bleaching. TruRenew Clean only uses the best professional grade fine fabric protector that includes a special blend that includes a UV blocker that prevents damage from the sun. Ask your technician about applying protector to your fine fabrics today. Our leather cleaning solutions are able to handle some of the most care-sensitive hides. Without a doubt, leather furniture carries a level of aesthetic zeal that brings a glamorous look to any home or business. You work hard to be able to enjoy these pieces, and you want to make sure you preserve their well-being to get the maximum out of their life span. You maintain your leather furniture by cleaning it regularly, and that’s good. But over a period of time, dirt penetrates deep inside the pours of the leather causing it to become dry and cracky. Our professionals are trained to perform leather cleaning that not only removes hard-to-see stains, but prevents it from reappearing. Our professionals are also trained to handle major stains caused by ink pens, grass, or blood, carefully removing the stain, as well as keeping the leather's integrity undamaged. Leather also requires conditioning allowing it to be soft and supple, and, at the same time, look vibrant and feel great. Because most leather furniture requires good maintenance regularly, you want to be able to put your trust in the right cleaning company’s hands to preserve your investment. One of the most important reasons to clean your mattress is to eliminate dust mites that most likely live deep inside it. These unwanted microorganisms multiply at a very rapid rate resulting in many health related problems caused by unfavourable environment. As much of a neat freak as you might be, cleaning your mattress rigorously is simply not enough to remedy the problem. Due to the fact that the rate of reproduction of dust mites is too high, and problems with itchy skin, asthma, and other allergy-related problems caused by dust mites are inevitable. Professional mattress cleaning can not only help you to get rid of dust mites and eliminate problems with allergens, but can also make sleeping in your bedroom more pleasant. This of course depends of many factors inside the home. Based on the number of pets, children and traffic on the furniture will depend on how often the furniture should be cleaned. We recommend once per year. Does fabric protector really work on furniture? Absolutely! Fine fabric protector will greatly reduce the number of spots, spills and body oils that are usually found of furniture. By protecting your fabrics this will allow your fabrics to be cleaned more thoroughly and keep allergens from setting in. How often should I vacuum my furniture? 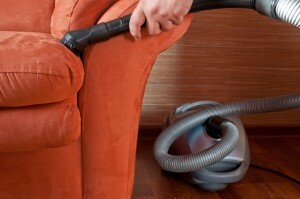 It is recommend that you vacuum your furniture at least once per week. However, with busy life styles sometimes that is impossible. So try to at least vacuum once per month and you will notice a significant difference. How often should I condition my leather furniture? We recommend that you condition your leather once per month and then have your leather professionally conditioned once per year. This will allow your leather pieces to be properly maintained, reducing the stress cracks and fractures that most customers see in their leather pieces. Is there anything you can do for sun-bleached furniture? At this time, there is not. Once the furniture has been damaged by the sun, the only solution is to have the piece reupholstered. However, if you have the piece professionally protected every three to five years, this can significantly help reduce sun-bleaching. If you are looking for Upholstery Cleaning in Plano then please call 214-930-8802 or complete our online request form.